I couldn't find a suitable place to hang this wedding dress in the bride's room at the Courtyard Marriott Hotel in downtown Tacoma, so with the help of a bridemaid, I carried this dress down to the hotel lobby. 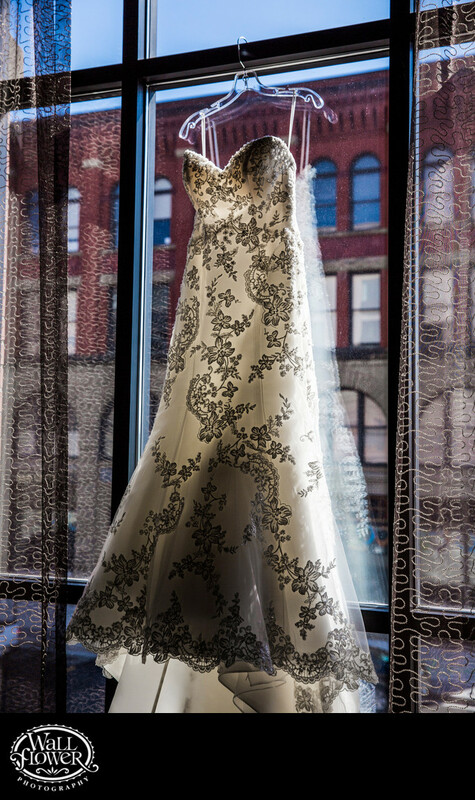 There, I found the perfect window, with enough light coming in through it to backlight the dress and reveal all of its intricate stitching detail. The fine curtains and view of a historic brick building in the background all work together to make the photo special.